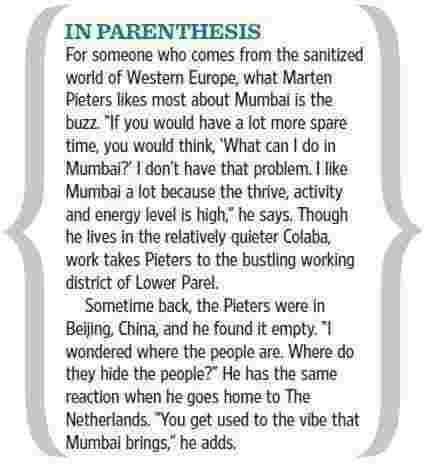 When Marten Pieters visited Mumbai for talks with Vodafone India on a possible position in the company, he stayed at The Taj Mahal Palace hotel with wife Dettha. The month was November; the year, 2008. The subsequent events could easily have influenced Pieters’ decision to work in India, as a bunch of gunmen attacked the hotel and several other places in the city, laying siege to it for a dramatic three days. The couple, who were dining in the Taj’s Lebanese restaurant Souk at the time of the incident, eventually escaped from the hotel and were temporarily sheltered at Taj’s Wellington Mews serviced apartments. “I found it an amazing spark of courage and insight," remembers Pieters, 58. “Also, this could have happened anywhere—London, Madrid, an embassy in Kenya…lightning strike can happen anywhere. We decided it would not impact our decision but it had an impact on our personal life." Both took some time to recover from the incident— Dettha longer than frequent flyer Pieters—but they returned to India after Pieters joined Vodafone in February 2009 as managing director and chief executive officer, and shifted his residence to the Wellington Mews. Pieters prefers not to speak about himself. He indicates it has something to do with his Dutch upbringing, which makes people from that country “down to earth". 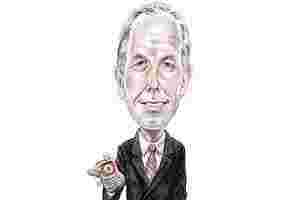 It also, he says, determines his management style, a modesty that is important in an organization. “What is extraordinary is I am from an ordinary background. My father was a hairdresser. I am not from a big industrial family," he says. Pieters took over at a time when Vodafone was second (to Bharti Airtel) in India in its revenue market share, but it also had huge tax liabilities following Vodafone’s acquisition of a stake in Hutchison Essar earlier (the Supreme Court hearing in the ₹ 11,217-crore tax case has concluded, its judgement has been reserved). So for Pieters, it was “a big financial exposure". Additionally, Vodafone’s investments in emerging markets had not turned out well. “For me, it was that scale and complexity that was attractive," he explains. Vodafone Essar, with a 23.56% market share, had a subscriber base of 144.14 million as of August, according to the Cellular Operators Association of India. It continues to be second to Bharti Airtel, which has a 28.09% market share, but in mid-2010, Vodafone became the fifth operator in the world with 100 million customers in a single country. “Business, in the end, is about making money. But I would rather sell someone a mobile phone which would improve his life than the 100th brand for perfume," he says. What does one do about the annoying telemarketing text messages selling one-bedroom flats in Mira Road with a free ceiling fan thrown in? “Even I get them," smiles Pieters, before explaining the concept of an SMS termination fee between operators that could act as a deterrent. The new rule of a maximum of 100 text messages a day (later increased to 200) is what he calls a great example of bad regulation. Having studied law from the University of Groningen in the Netherlands with a major in economics, Pieters started working in 1977 with a family owned confectionery company, Royal Smilde Food Plc., as general counsel. But it was soon clear to him that the business side of the enterprise interested him more than the legal angle, so he moved to finance. He then became MD of one of the subsidiaries, a confectionery company. It was the job his children (they have four sons) loved the most, because of the added benefits of what dad could bring back home. In 1989, he joined KPN, the Dutch operator of the postal and telecom services, working in various positions, as their commercial director, managing director of a telecom region, vice-president of international operations and then as executive vice-president for KPN International, pushing their telecom assets in emerging markets (Asia, Eastern Europe and Africa). It was the time he made his first visit to India, in 1995, looking for investment opportunities for KPN but decided against it in the end. He was interested though in this small Kolkata-based company called Usha Martin. “It was for me a toe-in-the-water strategy: If you don’t know the temperature, then you put your toe in the water before you jump in. It’s funny because a part of Vodafone is a part of Usha Martin, which merged several entities. In a long way, I came back to the same company." By the turn of the decade, as the Internet bubble burst and the telecom industry collapsed, the company accumulated too much debt and had to sell off its assets. “In the end, I sold everything I had built, which was not a nice thing to do," he says. Pieters became the CEO of a start-up in Africa called Celtel International BV, a pan-African mobile telecom operator. His four-year stint ended in 2007, after Celtel was sold to MTC Kuwait (Zain). “It was a new continent for me," says Pieters of Africa. “Once you learn how to deal with different cultures, it does not matter so much if it’s China, India or Africa. Forget what you have learnt at home. What you culturally see is that people close doors believing that the way we do things at home is the way the world should do it. Once you learn to leave that behind, and appreciate what people do in other cultures, it does not matter. People are the same everywhere, it’s just the packaging that’s different country to country. You need to learn how to unwrap that packaging." As a non-executive board member of telecommunications group Millicom International Cellular SA in Luxembourg from 2008, Pieters went into some form of “semi-retirement" but realized that it was probably too early. “You need some peace of mind to sit back… I realized I was too young for that." And then Vodafone happened. “We need future investments," he continues. “The moment you watch a YouTube video, we have to open a huge pipe somewhere because it’s a lot of data. It costs money. This industry contributes an enormous amount to the coffers of tax money but there is not enough appreciation in return. We are the milking cow."